At the Stampin' Up! Convention this year Carrie Cudney challenged everyone to "Live a Creative Life" and showed us some of the Mixed Media piece she had worked on. They were fabulous and had everyone excited to try it when we got home. 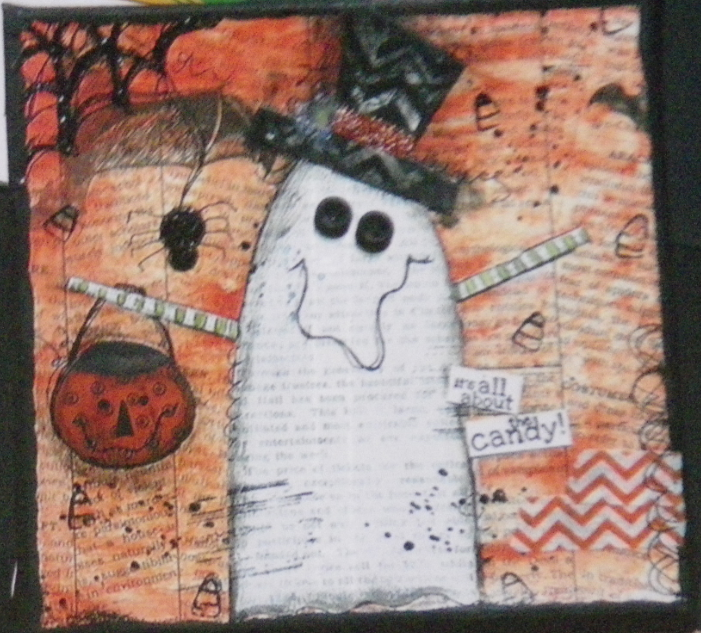 Here's one of the Halloween pieces she created (sorry for the quality of the image). I loved all of Carrie's creations! Finally I got around to trying my hand at this. It definitely is a little out of the box for me - I have always considered myself crafty, but not really artistic. I searched for Christmas Mixed Media images to get some inspirations and found a great tutorial from Christy Tomlinson (http://christytomlinson.typepad.com/christytomlinson/). 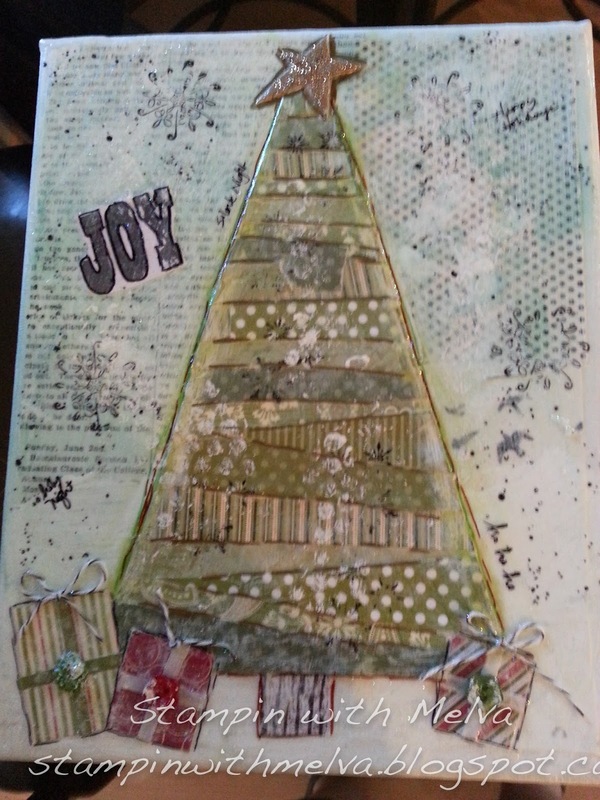 I decided that for my first attempt I would use her Christmas tree tutorial with the supplies I had on hand - paper, buttons, stamps, bubble wrap, twine, etc. 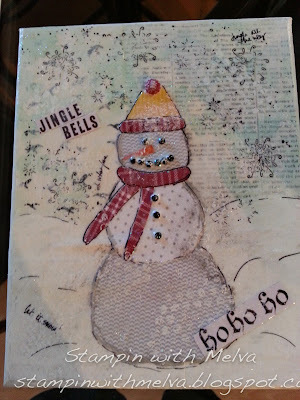 (I didn't buy anything except canvas, Modge Podge and acrylic paint - it's a great way to use up your scraps of paper). I'm pretty impressed with how this turned out. 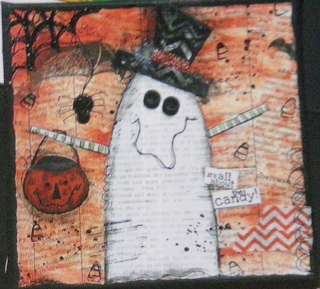 One note is that don't give up part way through, the more layers you add, the better it looks! For my second creation, I created a snowman using the same techniques as I had used on the first one. I liked how this one turned out as well. It's missing some arms - I still have to go looking for a couple of twigs to modge podge on. This is definitely addicting and there are so many more things you can do to layer, including adding some texturing mixture to add depth. On my list for the next one - stay tuned!